Si me gusta ! Pienso que es un color que podemos adoptar sin problema ! I actually love it! I love your rings, too! Yes yes and yes. Been wearing this since last summer, and the brighter the better! such a great color for the summer! i LOVE it. Love it! 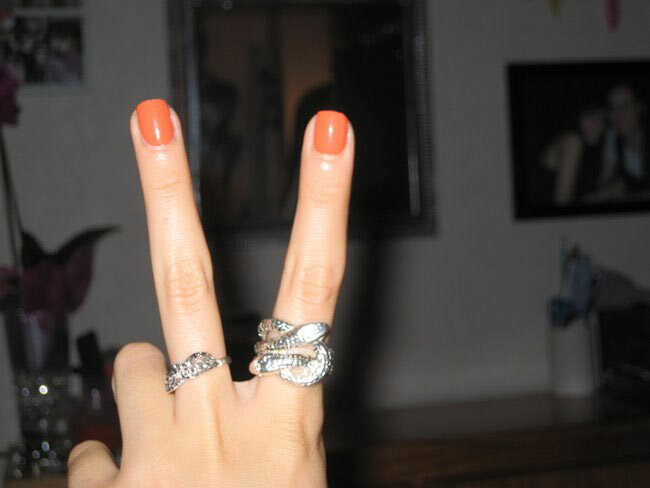 Love your rings btw. Looks great on you! Not sure if I could pull that off in the office though. yess! i really like it! Que color mas bonito!!!! Me encanta.Un beso!